Valentinesday is allready over but meet my own little valentine. 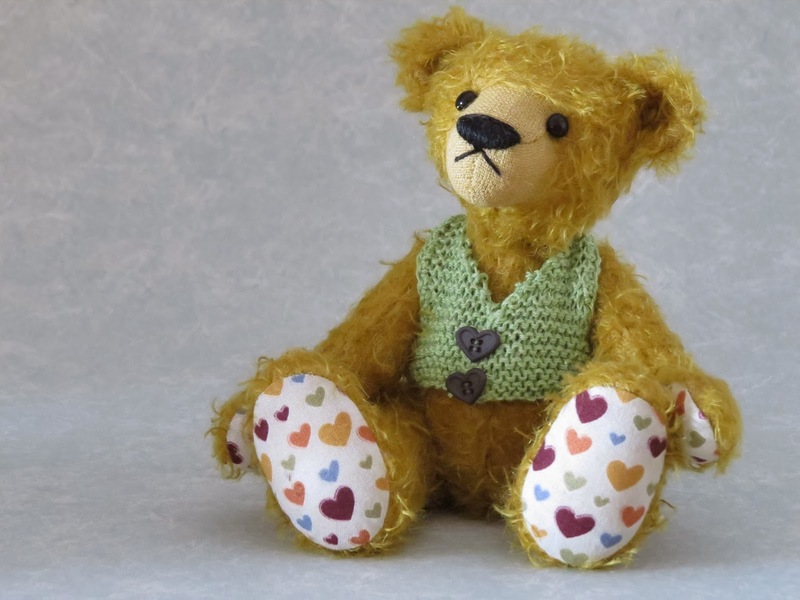 Valentijn is about 20 centimeter and made of a dark yellow mohair, his hands and feet are made of a quilt fabric with harts on it in all sort of colours. He has a black stitched nose and black german glass eyes. Valentijn has a little knitted vest on in a pale green colour with two hartbuttons on it in dark green. He is five way jointed and filled with little steelpellets so that he is having a little bit of weight. Valentijn is handmade and a one of a kind Mirabeer, hope you like this little one !